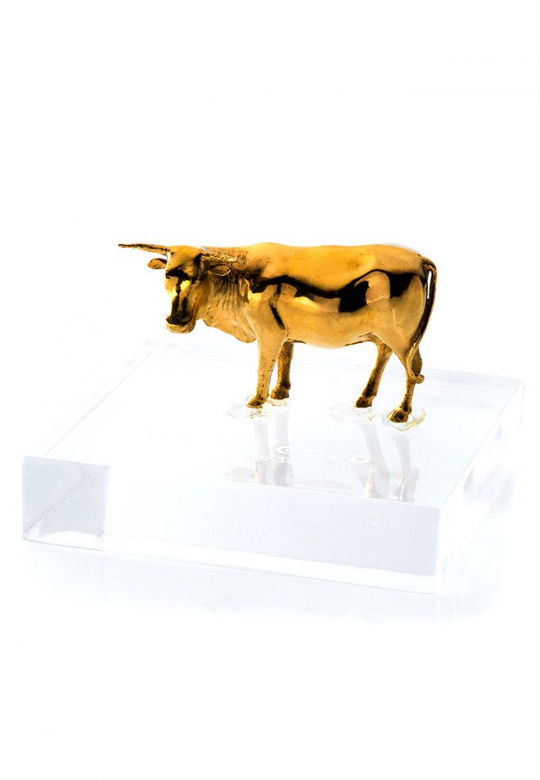 Inspired by the tradition of Lobola and generational wealth transfer. 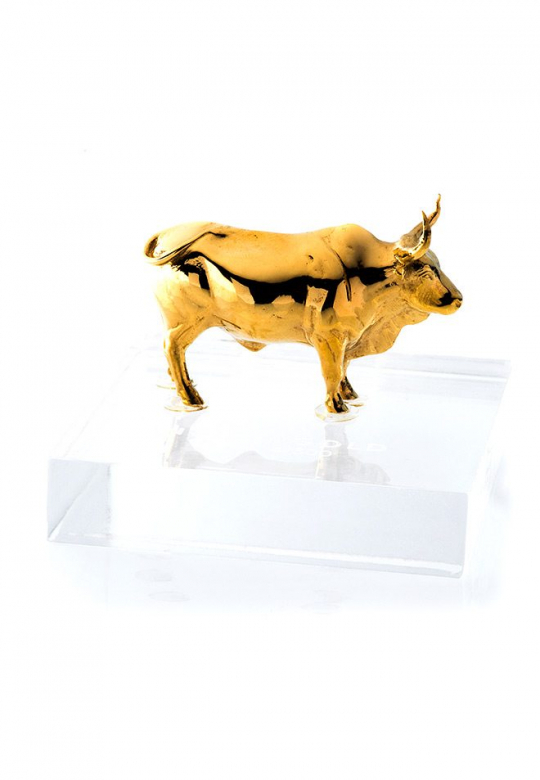 These limited edition precious metal cast cow and bull sculptures, are available in Gold and Silver. All statues are display mounted on a perspex base and presented in an elegant foiled and printed, Nguni hide inspired box. 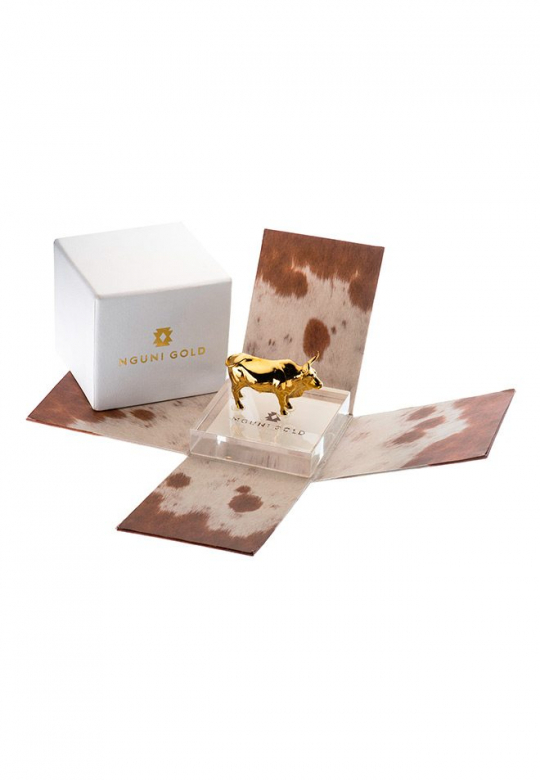 Packaging: Packaged in individual Nguni Gold box.